Do you feel like trying the most exciting joy ride of your life? 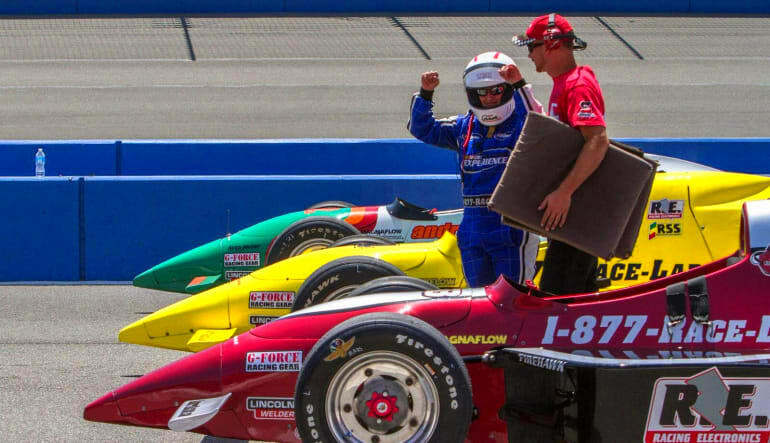 Jump in the passenger seat of a world class INDYCAR. You'll get to ride along for 3 laps with a pro driver at the Kansas Speedway. 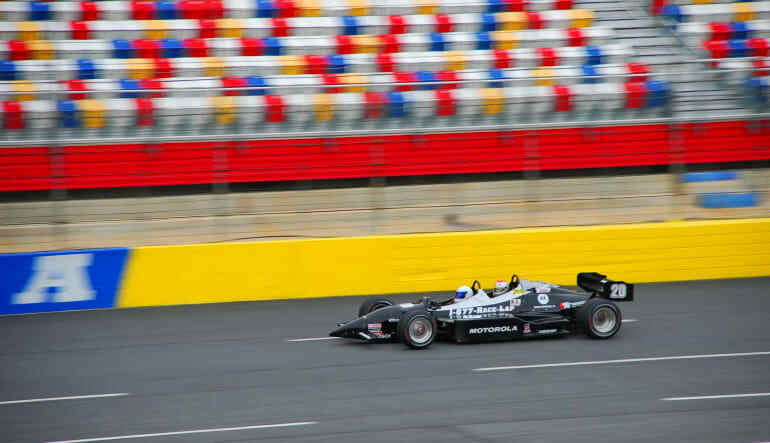 Want to have a once in a life time experience in an actual INDYCAR ? You will get to feel the horsepower, acceleration, braking and cornering capabilities of these awesome racing cars, while sitting in the passenger seat with a professional racing driver at the wheel. 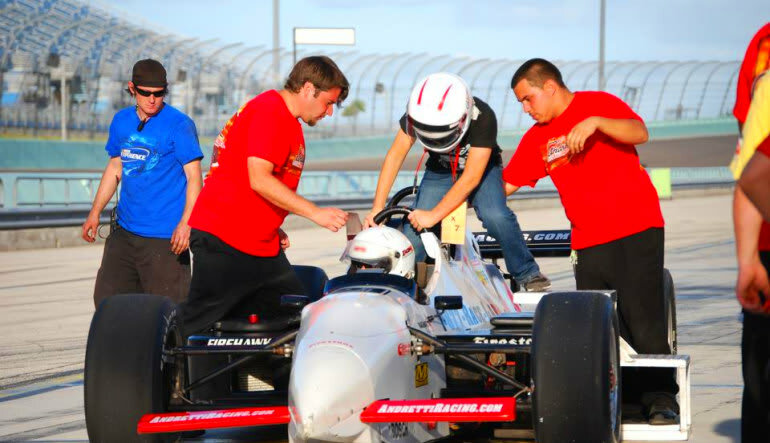 After your safety briefing you'll strap into your 5-point harness and bucket seat, before rapidly taking off out of the pits and burning rubber! You'll experience 3 fast hot laps of the Kansas Speedway. These cars are the real deal - race-built from the ground, these are the same cars driven by some of your favorite INDYCAR drivers. 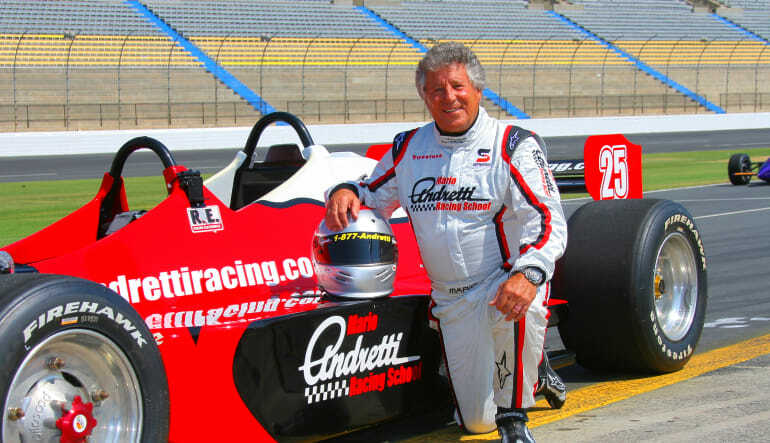 3 hot laps with a racing driver in a Indy Race Car!